Zebra ribbon is widely used in a variety of barcode and RFID labeling systems. 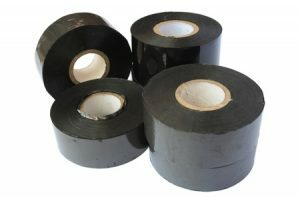 Thermal transfer ribbons from Zebra provide durable prints that are ideal for labeling and categorizing inventory, merchandise, supplies and more. Ideal for standard printing on paper materials, this type of Zebra ribbon can print up to 12 inches per second on coated paper materials and provides superior abrasion resistance when compared with other conventional wax ribbons. Providing excellent resistance to chemicals on papers and synthetics, wax/resin ribbons from Zebra are ideal for coated paper and matte synthetics. They are not only formulated to provide good resistance to scratches and smears, but also most modern chemicals. Providing the ultimate in durability against chemicals and heat on synthetics, resin ribbons are widely used in industries where long-term label accuracy is vital and chemical exposure is probable. Tri-State Business Systems can provide you with everything you need, from your ribbons and scanner to your printers and labels. 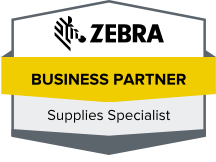 In fact, we have nearly every Zebra printer you can imagine available to ship to you at any time. Whether you are looking for a mobile or desktop Zebra printer, we have you covered. Additionally, we have a large selection of other labeling and scanning products and supplies and routinely customize total system packages for businesses of all sizes. We proudly serve businesses throughout Bradley Gardens, Neshanic, Millstone, Blackwells Mills, Montgomery and the surrounding cities, so contact us today for more information about our total package systems or to request a quote on any Zebra ribbon or Zebra printer you need for your in-house labeling system. We look forward to serving you!